Meet James Anderton founder of Fastcast Moulding - a business launched off the back of a £10,000 StartUp Loan from Virgin StartUp. 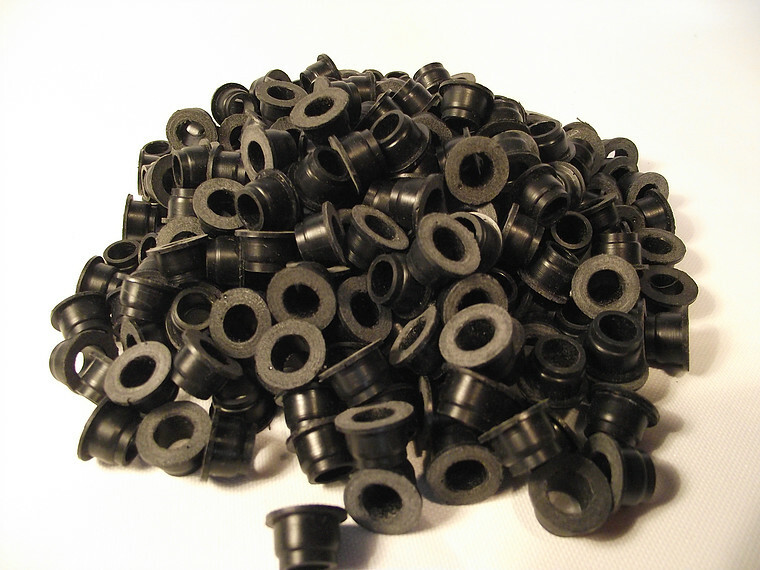 The business offers small-batch manufacturing of plastic/resin components that are used in the production of other items. The service offers origination of the components as well as copying of existing components as replacements for the originals. Fast Cast Moulding has been created as a means to help customers achieve their manufacturing goals by side-stepping the high tooling costs of injection moulding, particularly for smaller job runs. We have the ability to recreate from samples, drawings and even ideas to help bring a project to life; from one-off prototypes to thousands-off production. We offer a wide variety of materials from high impact plastic through to soft rubber and foam, all possible in a multitude of vibrant colours and shore hardness. Recently the business has relocated from my home into an industrial unit in central Keighley. Keighley is an excellent location for my business as it is in the manufacturing heartland of Yorkshire and the North of England. As an engineer by trade working in a local manufacturing company I was well aware of the existence of a large number of very small engineering companies in the region providing specialist manufacturing services; many of which involve relatively smaller quantities. The business was originally conceived as being a part-time activity based in a garden shed. Also because the business was being run as a “sideline” to my full time job there was a knock-on effect on my family life/commitments as every evening was being taken up by the business. However, the limitations of this approach became apparent when an order was won that exposed the production inefficiencies arising from lack of space to manufacture effectively. The Start Up Loan has provided the investment capital needed to be able to take on an industrial unit and equip it with additional production machinery. Also it has provided the working capital that gave me the confidence to quit my job and go into the business full time. 6. Who is your regional delivery partner and how did they help you get a Virgin Start Up loan? Airedale Enterprise Services. Phil Harrison, the AES business adviser, was able to provide an objective view of the business. The advice offered identified issues relating to the legal aspect of how the business was running and put into sharp relief what the objectives were for the business, my family and myself. Phil provided a great increase in confidence of the business’ potential and my skills. He also identified a source of finance that would allow the business to become a full-time operation and assisted greatly in a successful application for the Start Up Loan that has allowed that leap to be made. So the programme has given me the confidence to make a major move towards achieving my business and life objectives. Now I have the production capacity I have secured a significant order that will meet the first year’s income target. The next major task is to devise a comprehensive marketing strategy to build upon the early success so that the business continues to grow and prosper. The information contained in this website is provided for information purposes only and is not intended to constitute legal advice on any matter. Use of this website is at users own risk and is not intended to create a lawyer-client relationship between Virgin StartUp and any user. Information displayed on this website is provided “as is” and Virgin StartUp does not provide any express or implied warranty or representation concerning the information, including but not limited to the accuracy or appropriateness of the information. Virgin StartUp recommends that users seek their own legal advice before taking (or refraining from) taking any action and do not accept any liability in respect of any actions taken or not taken based on any or all of the information displayed on this website to the fullest extent permitted by law.